The increasing demand for electricity consumption in Bangladesh is driven by the rapid development of infrastructure, booming economic growth and prompt pervasion of urbanization. Bangladesh has attained a stable gross domestic product growth rate of above 6 percent in the recent years. It can be stated from the development experiences that energy consumption of a country tends to be much higher when its per capita income is between $1000 to $10,000 in order to preserve and accelerate its growth momentum. Bangladesh is experiencing the range of augmented consumption of electricity and it has pronounced access to affordable and reliable energy for all by 2021(Planning Commission 2012,). According to the Bangladesh Power Distribution Board (BPDB) in July 2018, 90% of its population has access to the electricity. But in comparing per capita consumption it is still considered low. The government has set the vision of 24,000 MW electricity generations by 2021 towards its mandate “electricity for all”. The currently installed capacity of 16,193 MW is not adequate to meet up the inflamed demand due to high system losses. Energy is a crucial factor towards socio-economic development, alleviating poverty, sustainable infrastructure and rapid industrialization. The government’s ambitions about the development programs particularly on power sector are well envisioned. On the contrary, it has to face a plenty of challenges. Prompt Gas depletion is one of the main crises of the current electricity generation. The south eastern offshore part along with maritime boundary with Myanmar has a great prospect of natural gas which is evident from recent discoveries of natural gas in Arakan offshore basin. The recent gas reserve of the country may be terminated in the upcoming decades considering the increased demand and the government should come up with the alternative shortly. The coal fire based power generation could be the one alternative but local coal development is too slow paced to meet up the rising demand in few years with only one coal plant. The recent projection of the government of substituting gas by coal fire based for fueling in the power generation is also biased in respect to the import of coal rather than development of local coal based large power plant. The increasing demand for electricity consumption in Bangladesh is driven by the rapid development of infrastructure, booming economic growth and prompt pervasion of urbanization. 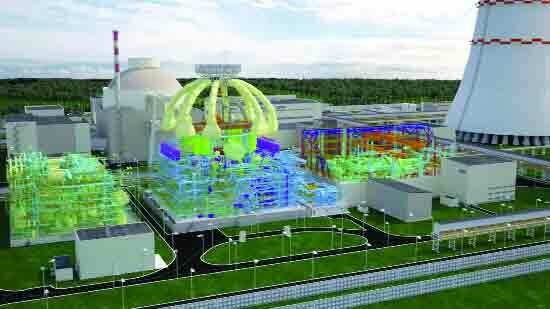 The government of Bangladesh projected to generate 20,000 MW from coal-fired power plant by 2030. But among 16 only one coal based large plant is being generated by its stipulated timeframe and the rest are far legged behind from the expected timeframe due to fund crash and improper planning. Use of natural gas and coal fire for fueling in the electricity generation could have severe impact on the environment by emitting carbon dioxide and green-house gas. The general grid electricity is the primary source (29%) of emitting green-house gas. Hence, the world is moving towards green electricity. For example, Germany has become the first country of its kind to produce 100% renewable and green energy in the very beginning of this year. A combination of strong wind, solar, biomass and hydroelectric power yield hit record 104 billion kilowatt hours (kWh) among January and the finish of June, as indicated by vitality firm E On. Combating the insecurity of the country’s gas based power generation; the renewable energy could be the best option to the government. Consequently, the government approved the “Renewable Energy Policy” in 2008 to consolidate the integration of renewable energy in the country. The purpose of the policy was to introduce the potentiality and disseminate it to the people. The Sustainable and Renewable Energy Development Authority (SREDA) was enacted in 2012 to promote, expand and coordinate the renewable energy consumption programs throughout the country. The government notably increased the generation of electricity but yet the national grid electricity is not reachable to the remote area of the country due to lack of structural infrastructure and long distance to provide facilities. Bangladesh is blessed being located between 20030’ and 26045’ north latitude and has year round sunshine (300 days per annum) and 7 to 10 hours in every day. Consequently, the solar energy is the vast source of renewable energy. Infrastructure Development Company Limited (IDCOL) promotes and disseminates Solar Home System (SHS) in the remote areas since 2003 jointly funded by World Bank, Global Environment facility (GEF), KFW Development Bank, The Asian Development Bank and The Islamic Development Bank. 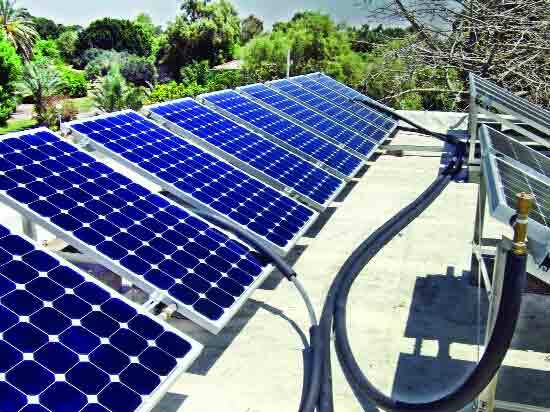 Bangladesh hosts the largest and fastest growing solar home system (SHS) program in the world reaching 50,000 per month in the recent pasts. The country has made significant progress in installing the SHS program which is in off grid areas. The national grid is not reachable sometimes in the remote areas and SHS program is taking place and leading the country towards electricity for all by 2021. 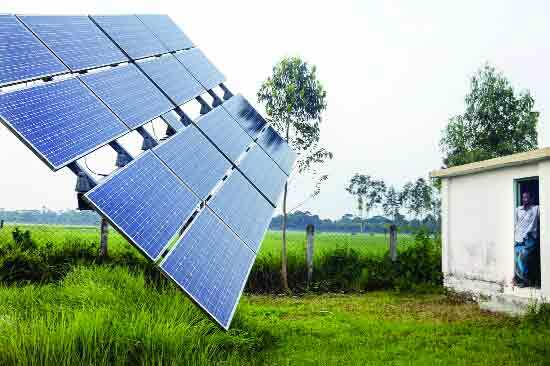 Solar irrigation pumps, solar mini-grid, arsenic water treatment plants, and solar street lights have the potential of smiling upon the socio-economic developments, free arsenic water, ensuring the food security in the off grid remote areas in Bangladesh. Other renewable energy sources include Wind energy, Biomass etc. The south westerly monsoon wind from the Indian Ocean can be utilized to generate electricity but still the successes are not much impressive here. On the other hand, Biomass has prospects in rural areas as well as in urban areas. Cow dung, household wastages, poultry littering can be the source of Biomass energy. Thus, Sustainable Development Goals of combating climate change and increasing the power generation from renewable energy could also be met. The recent gas reserve of the country may be terminated in the upcoming decades considering the increased demand and the government should come up with the alternative shortly. The demand supply gap of electricity, nowadays, in the country is reducing notably but still there is an alarming gap between both. The government’s relentless efforts, however, towards electricity for all by 2021 and ensuring maximum renewable energy consumption will be resulted in if all the stakeholders, development partner, regulatory bodies act accordingly in spite of having confronted all the challenges.